Frogs lay their eggs in pools, ponds, and puddles. As snow melts, low lying areas fill with water and frogs start looking for a place to lay their eggs. Each year we eagerly await the arrival of spring to listen to the Spring Peeper and anticipate the discovery of frog eggs in the vernal pools. On our farm in Royalton we find frog eggs in the vernal pools of the woods, in pools near the water fall, and in setbacks along the banks of the river. Frogs, like all Oviparous Animals, lay eggs. 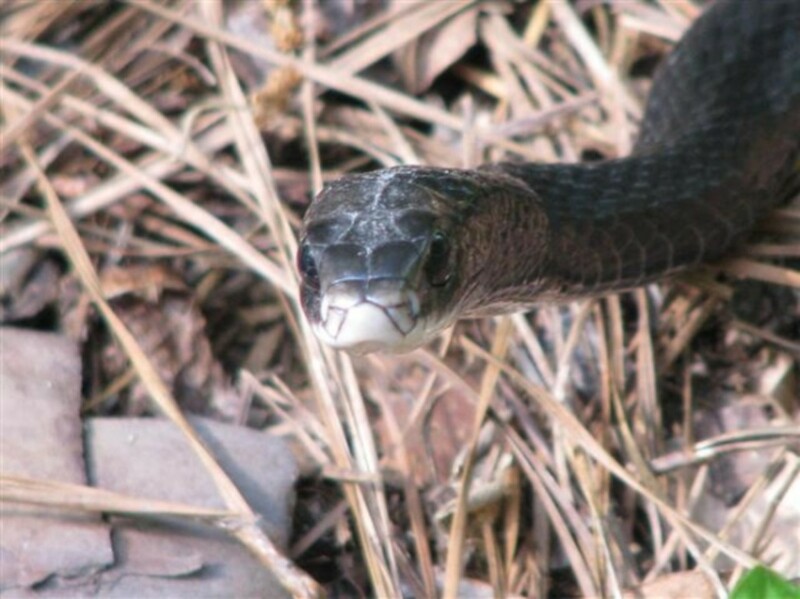 Look for them in the spring and throughout the summer in ponds and vernal pools. Go back each day and watch their development. Frog eggs are clear so you can look right into a frog's egg to watch it's development. At first the embryo is just a black dot. Then it develops a tail which begins to wiggle and then to flip around. Soon the tadpole is ready to hatch. Children are fascinated by watching the frog embryos develop into tadpoles. Draw pictures daily to record their development. Note: It is important to put the tadpoles back into the pond where you found them immediately after they hatch so that they are able to find the food they need to survive. Be sure to check the laws in your area. Sadly in some areas frogs have become so endangered that it is now illegal to collect their eggs, tadpoles or even pick up adult frogs. Tapioca can be used to simulate frog eggs. By taking trips to the frog pond daily you will be able to notice when the frogs first lay their eggs. Keep track of that date, the date that you first notice the embryos moving inside the eggs and when the tadpoles finally emerge. Keep watching and you will see legs grow and eventually see the fully grown adults start to breath with their lungs and hop out of the water. How long did it take for the frog eggs turn into frogs? This thoroughly researched book introduces a vernal pool in the woods of Delaware and documents the ecology of this unique habitat during the cycle of a year. Focusing on one animal after another, he shows not only the variety of life supported by the pool but also the complex, interconnected ecosystem that depends not just on the pool but upon the fact that it dries up annually. This cycle limits the animals the pool can support and creates an environment where certain species thrive, unthreatened by fish or by the year-round presence of certain other predators. 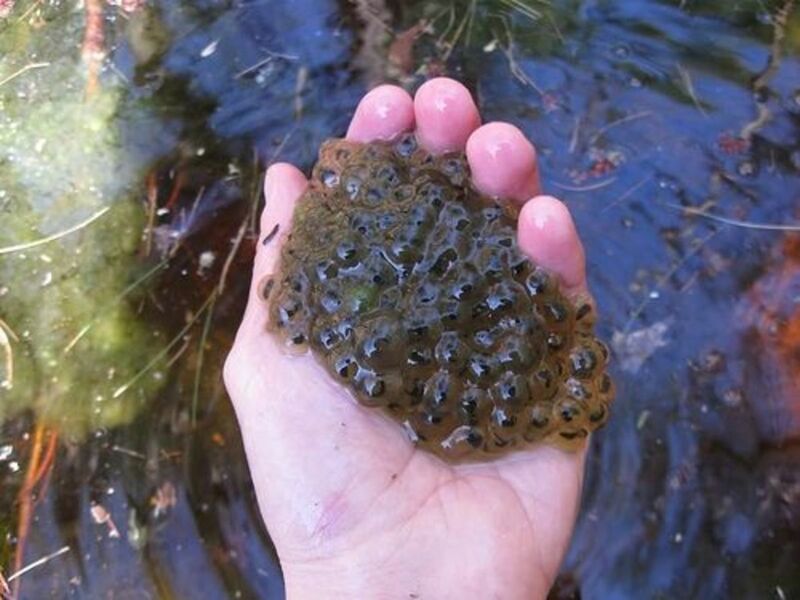 Have you ever visited a vernal pool and found frog eggs? Not yet but I plan to next spring. Yes, It was so exciting finding frog eggs. Yes, but there were no frog eggs. Sadly I don't live near vernal pools. 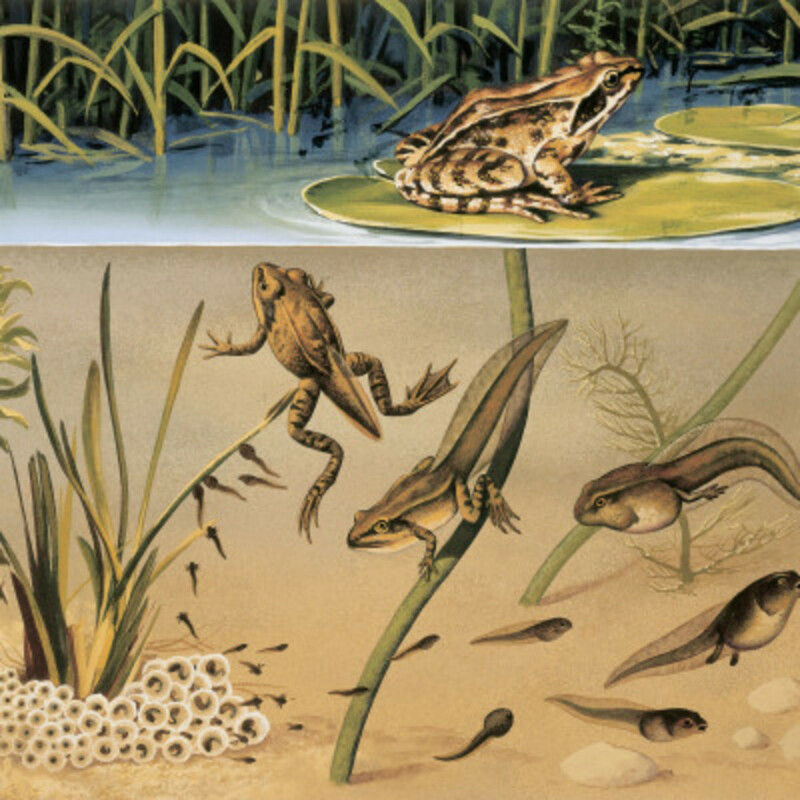 Do you know the difference between frog eggs and toad eggs? Frog and Toad Eggs - What is the difference between frog eggs and toad eggs? Photo Credit: Frog Eggs on Flickr, Creative Commons. Photo Credit: Toad Eggs on Flickr, Creative Commons. Take a careful look at the eggs in the pictures below. One is a mass of eggs that is held together even when picked up. The other eggs are laid in long strings. Frogs lay their eggs in big gelatinous masses. 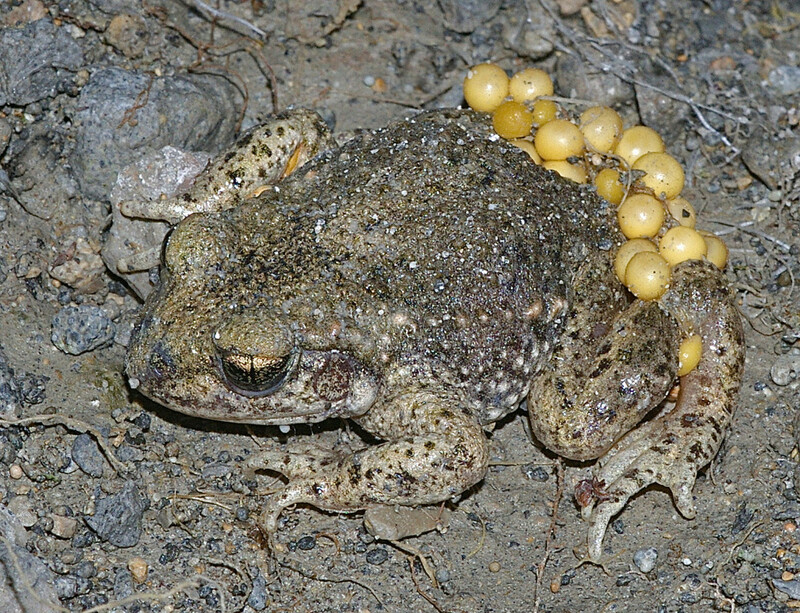 Toads lay their eggs in long strings. 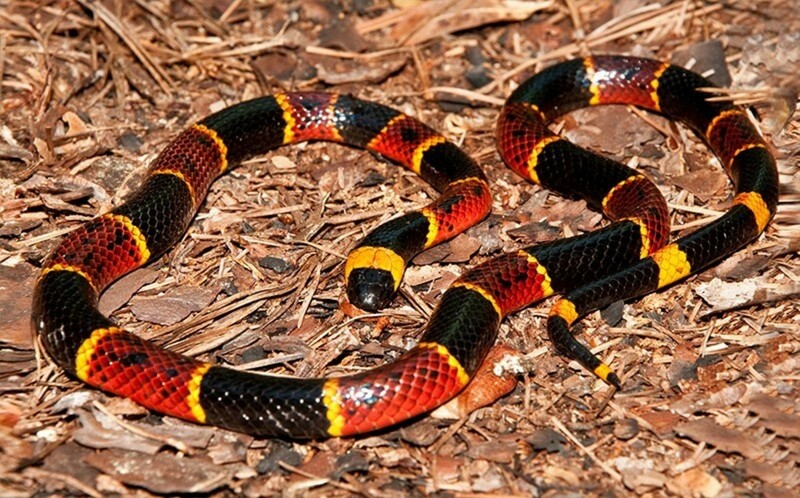 Amphibians lay so many because the eggs are eaten by many predators including fish and birds. 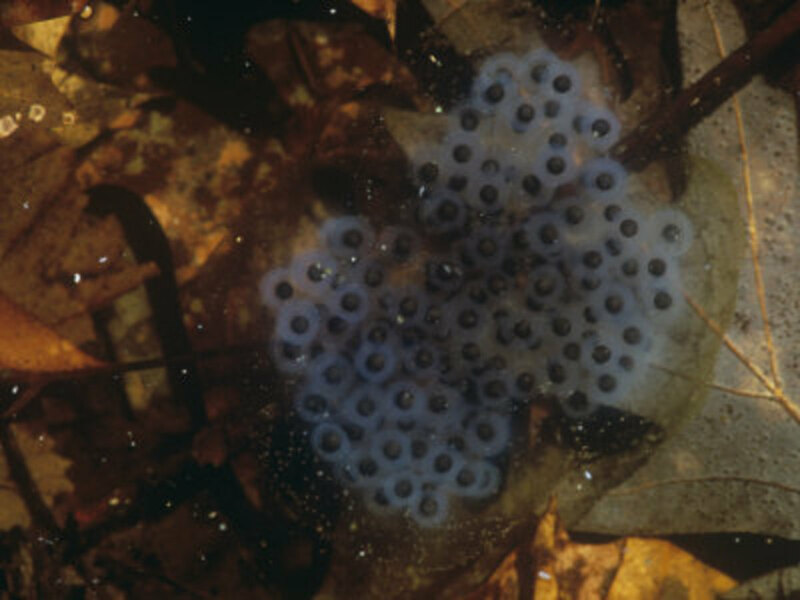 Compare Frog Eggs with Toad Eggs - What is the difference between frog eggs and toad eggs? After posing the question to your children, post their answers on chart paper. Then read about frogs and toads to seek out the answer scientists have offered to describe the differences. In the book, Frogs and Toads, we learn that frogs lay their eggs in big clumps while toads lay their eggs in long strings. 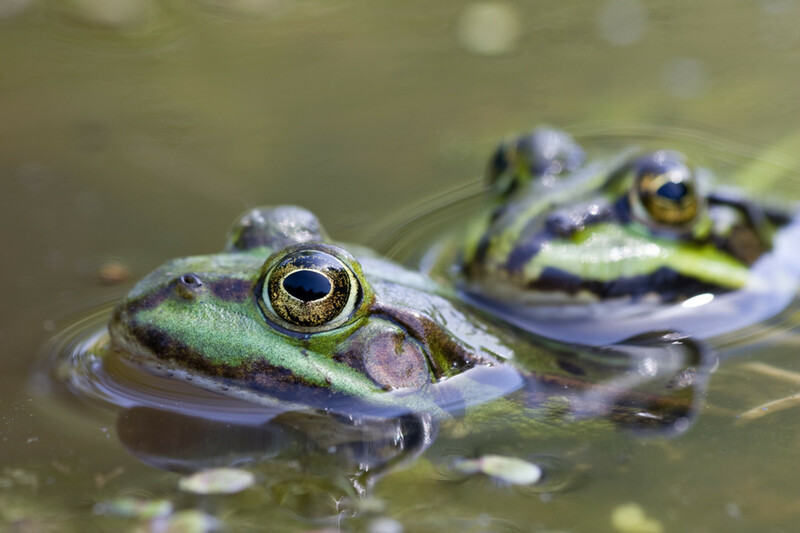 Did you know the difference between frog and toad eggs before reading this lens? The photographer says, I pointed my camera at this mass of Northern leopard frog eggs and walked away to look for snakes for a half hour. When I got back there was some cool footage! 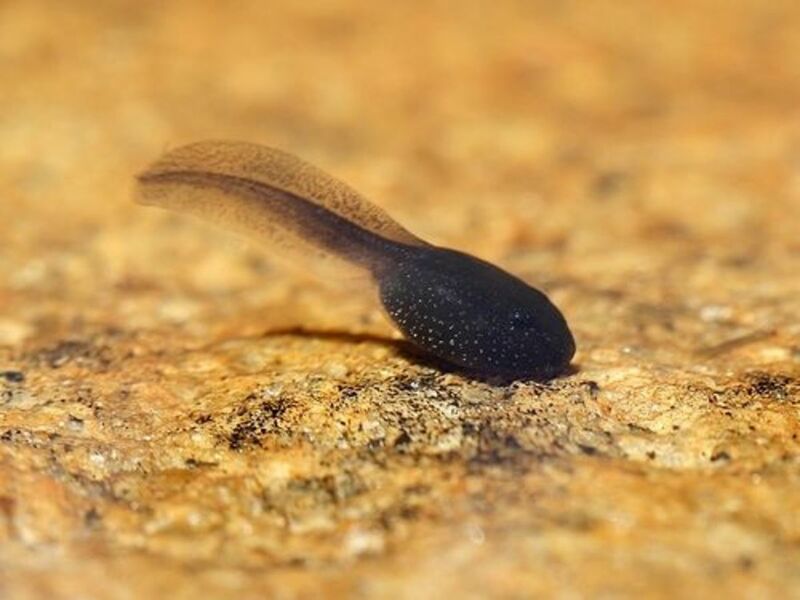 Have you ever watched frog eggs hatch into tadpoles? We have a shelf of guidebooks available to look up any plant or animal we encounter. This guide to Frogs shows pictures and explains the characteristics of all the frogs in North America. We keep the accompanying CD in the listening center to learn the frog calls. You may notice that you hear frogs in the Spring. This is the time that frogs are calling for mates in preparation for laying their eggs. If you would like to find frog eggs, listen for the frogs in the evenings. Look for wet vernal pools and ponds where you have heard the frogs calling. Soon you will find masses of frog eggs in clumps of jelly-like substance. Return often to observe the frog eggs and you will begin to see the black dots in the middle begin to take the shape of tadpoles. If you are lucky you might even begin to see the tadpoles hatch. One day these frog eggs will grow into adult frogs. Which is your favorite kind of frog? Decorate Ping Pong Balls to look like frog eggs. Place a bucket full of frog eggs at one end of a relay race. Hand the first child in line a spoon. The children race to see if they can save all the frog eggs. The ones that are dropped are the frog eggs that were eaten by predators. The ones that make it to the other side are the ones that live to be frogs. Egg, Tadpole, Frog is one of my favorite books for reading with children about the metamorphoses of frogs from egg to adult. 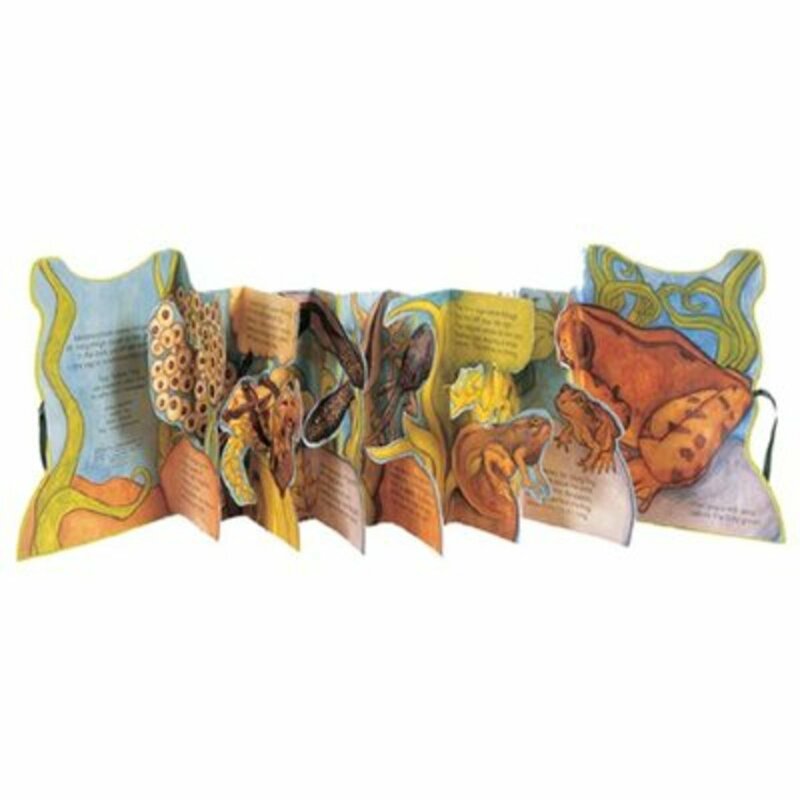 Though they like the illustrations and learning about the life cycle of frogs if you have taken the time to actually go to a vernal pool to see frog eggs, returned daily to watch them grow and continue until they grow legs and lungs, the children will truly love these books. 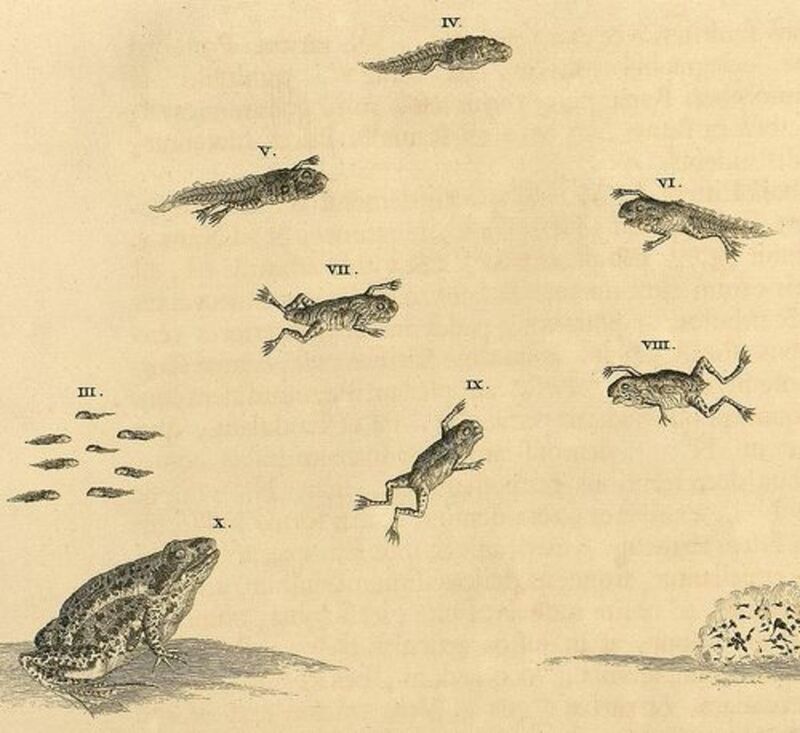 How would you like to learn about the Life Cycle of the Frog? Do you live near a frog pond? Yes, I have a frog pond in my back yard. Yes, there is a frog pond in the neighborhood. No, but vernal pools form in the spring where frogs lay their eggs near my house. No but I plan to build a frog pond in my yard next summer. Living in the city, I have an aquarium where I raise frogs. Tadpoles in the Sensory Table - Watching the frog eggs hatch. One year we collected some frog eggs from a vernal pool and placed them in the see through sensory table. We collected water from the pool let it reach room temperature before exchanging about a fourth of the water once a week. The see through sensory table allows the children to watch what is happening not only from above but also from the sides and most intriguing from the bottom. I place a cushion from an old couch under the sensory table and that becomes another center for the Frog Unit Study. I set up another sensory table with water, mud and replica frogs for children to actually touch. See through sensory tables allow children to see what's happening from the sides and below as well as above. 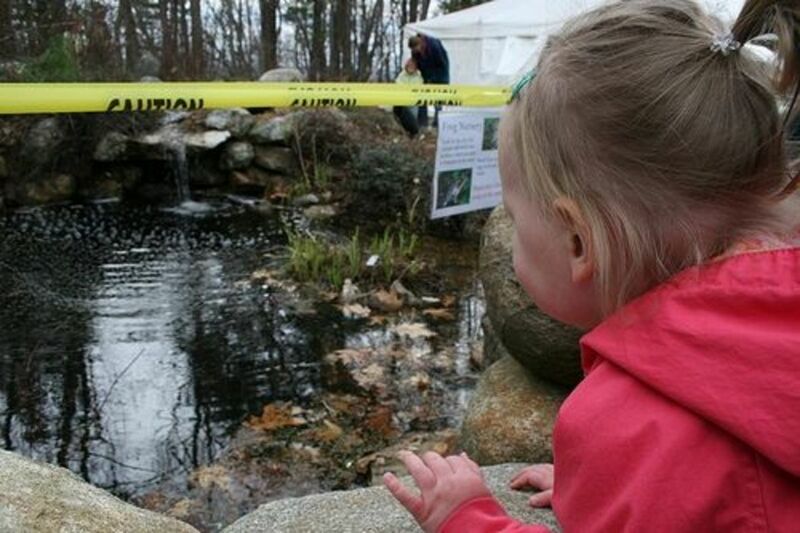 Would you consider putting frog eggs in the sensory table for young children to observe? Have you taught math using a frog theme? Yes, a frog theme is a wonderful way to engage children in learning math. Not yet but it sound like a great idea! No, I don't yet see the relationship between math and frog eggs. 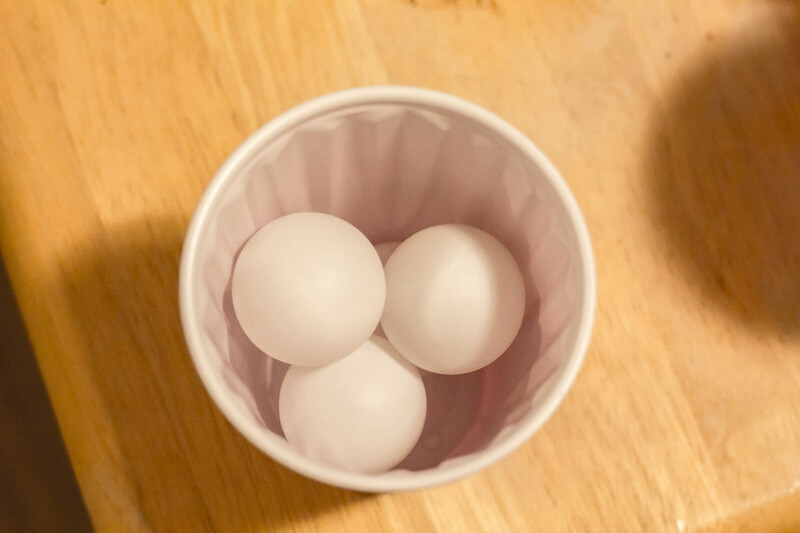 To practice counting, start with a bucket of ping pong balls. Us a permanent marker and add black dots. Then cut two of the sections off egg cartons leaving ten sections in each. 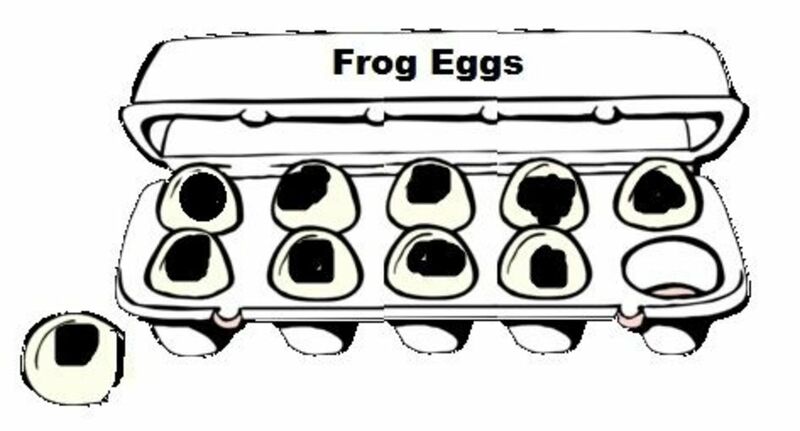 Your child then fills the egg carton sections and counts by 10's to see how many frog eggs. 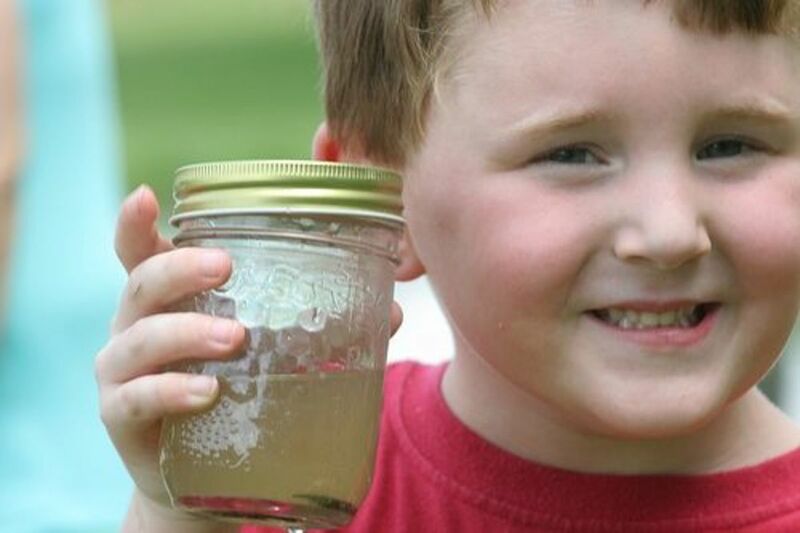 Egg to Tadpole to Frog Craft - How to make your own Egg to Frog Learning Centers! 1. Start with white plastic Easter Eggs. Use a permanent marker to draw frog embryos on the outside of the eggs. 2. Next make a tadpole sock from the brown felt. Make sure that the body is large enough for the frog to fit inside and yet small enough that it will fit inside the egg. 3. Place a frog inside the tadpole then place the tadpole inside the egg. 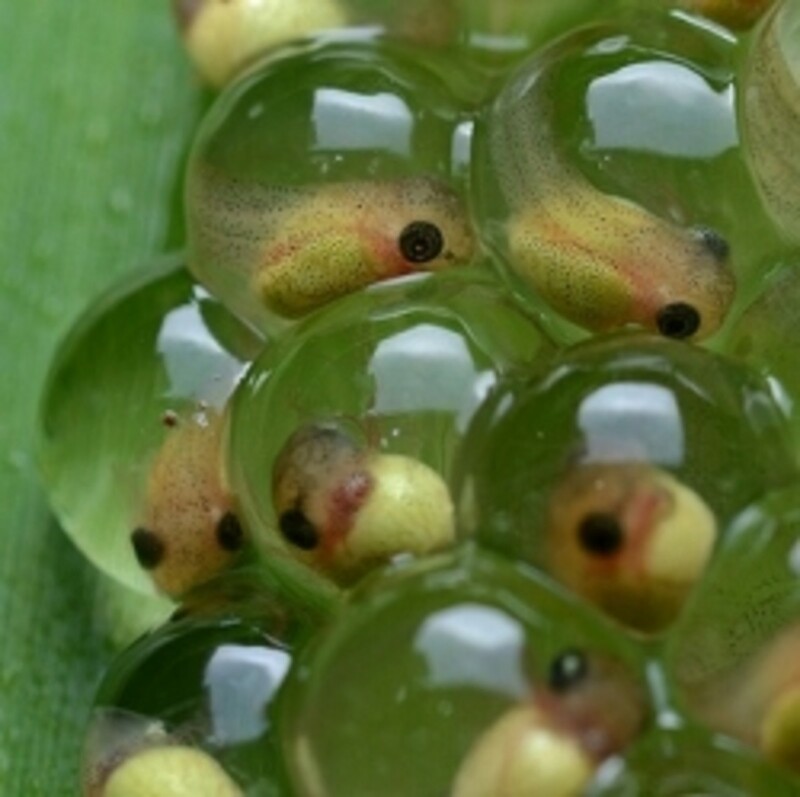 Frog embryos grow inside frog eggs. 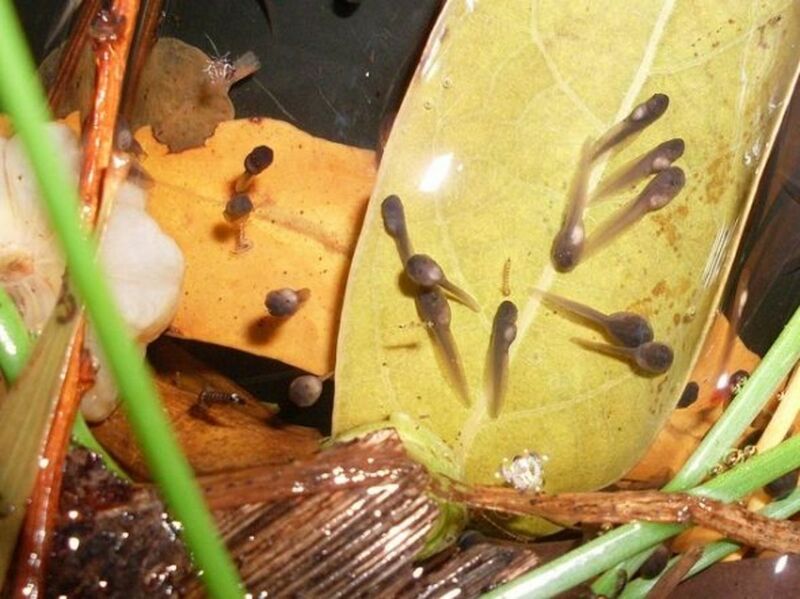 Tadpoles hatch from frog eggs. 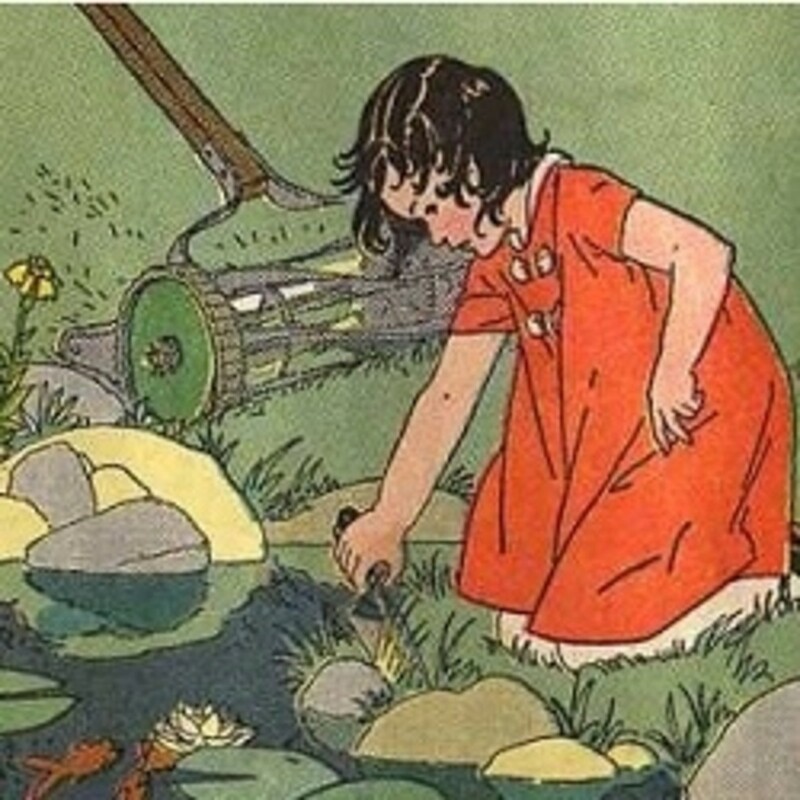 The children open the egg to discover the tadpole and then reach into the tadpole to discover the frog. Have the children talk with each other about the life cycle of frogs. Finally put the sentences in order. Children then copy the sentences onto a piece of paper using their best handwriting. Do this project together as a group. Talk about the life cycle of frogs as you work together. Read the sentences together. Once most of the children understand the activity well, put this Frog Life Cycle Activity out for the children to use independently during Center Time. Do you create a habitat for frogs in your yard? Fallen leaves provide shelter for a multitude of animals including earthworms, pillbugs, and millipedes. 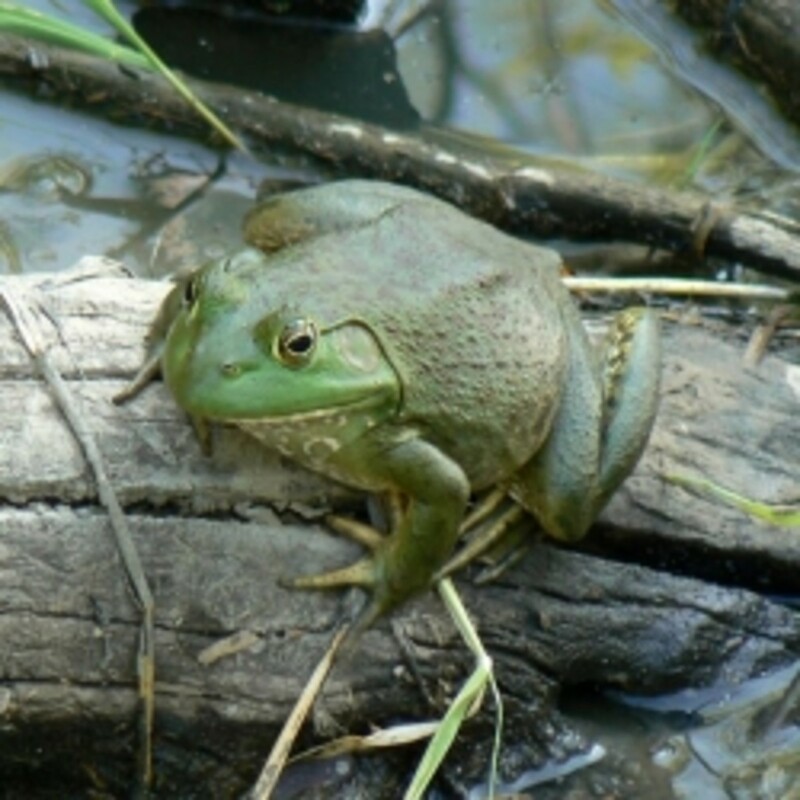 These animals provide food for frogs, toads, and other small animals. As winter draws near, the leaf litter becomes a warm blanket which helps these small animals to survive the cold. Consider leaving a leaves on a portion of your lawn to increase the fauna of your yard. The frogs and other small animals will thank you and reward you with more wildlife sitings in the coming year. 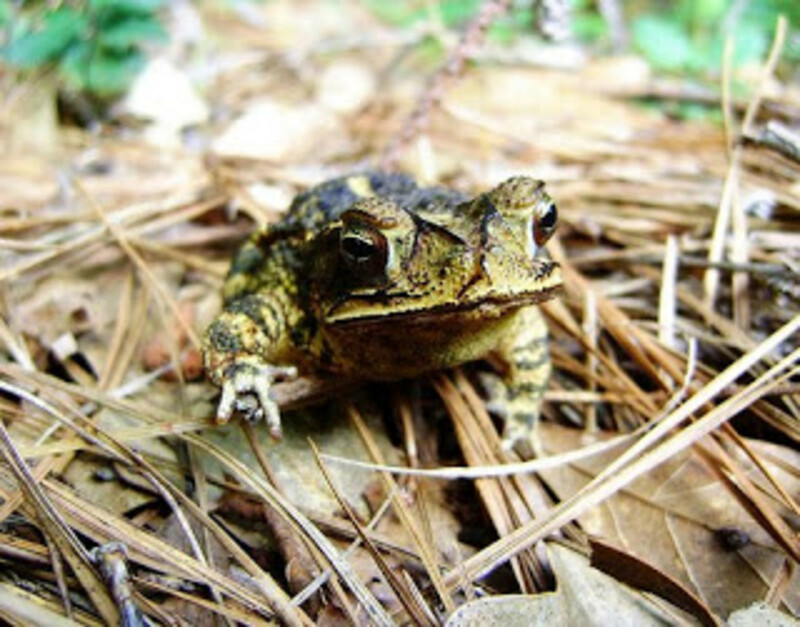 Do you leave leaf litter as a shelter for frogs in the winter? Yes, I encourage frogs to live near my house. I will now that I know what frogs need for shelter. No, frogs need to find their own shelter. 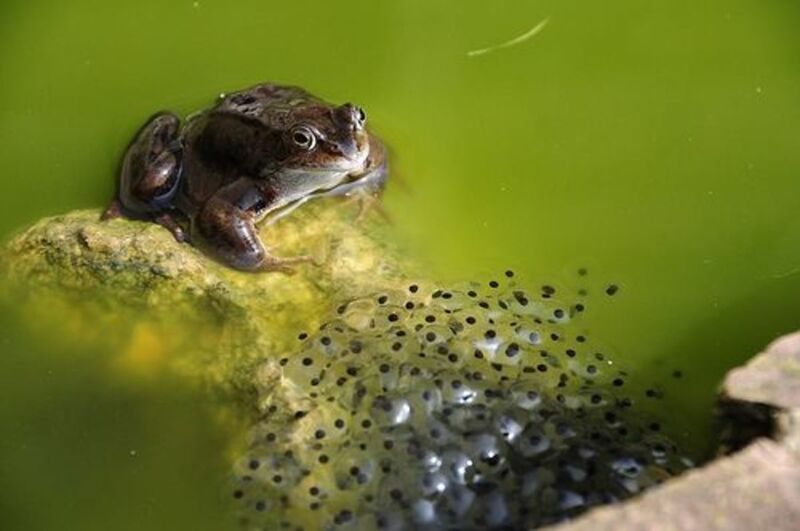 Ribbiting Tales of Frog Egg Encounters: - Have you ever discovered frog eggs? The intro pic just look amazing. I never seen it that close before. Just headed down to my natural spring pond today and found a cluster of frog eggs attached to a floating limb. Used your lens to double check my ID. We've had harsh cold the last few nights (low 20's) I hope they'll make it since spring in NC mountains doesn't really arrive until April! We have some type of frog which constantly lays eggs in my swimming pool...its getting rather annoying....can ANYONE please give me some advice to get rid of my frog problem!!!!! We see a lot of Frog Eggs in the creek, the fish pond and the pool this time of year. I enjoyed learning more about Frog Eggs. Thanks. Excellent lens. And I am amazed that you have made 257 lenses. I can't imagine how you find the time, especially if they are all as informative as this one. Excellent lens for all ages. What a cool idea to make such a nice lens on frog eggs.Thanks. We see frogs' eggs in our pond, in the floods down the fields and in our swampy 'nature reserve' area. LOL...ElizabethJeanAllen made me laugh with her comment! Great pics btw!...my kids are going to love this lens! [in reply to ElizabethJeanAllen] Thank you, Lizzy. You make some of the best lenses! [in reply to Joan4] Thank you for the SquidBlessing! Tadpoles in the Sensory Table! My goodness! I wish you could be my teacher! Wow! You are an awesome educator! You make me want to go back to elementary school! Blessed by a joyful angel! As a child we used to collect the eggs and watch them turn into tadpoles. And then one day we would go out to check on them and they would all be gone. My daughter would love reading this. Great work. An incredible amount of informtion about frogs. I really can't say I have seen the eggs, just the results, little tadpoles. Very nice lens. Another great lens Evelyn. In the UK we call frogs eggs "frogs spawn". We have frogs in our pond but it is too shady to persuade them to breed. Blessings for another lovely lens. We've seen them only occasionally. Mostly we find tadpoles. Congratulations on another stellar lens! Great job!